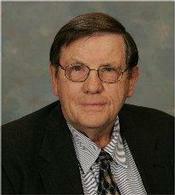 Gary W. Brown, 71, of Moline, IL, died Monday, March 14, 2011, at Trinity Medical Center in Rock Island, IL. Visitation will be Friday, March 18th, from 4:00 p.m. until 8:00 p.m., at Wendt Funeral Home in Moline. Services will be Satuday, March 19th, at 10:30 a.m., at First Congregational Church, 2201 - 7th Avenue, Moline. Burial will be in Moline Memorial Park Cemetery. Memorials may be made to Christian Friendliness Association in Moline, or the Moline School Foundation. Gary W. Brown was born in Moline on March 8, 1940, to Leonard and Doris (Figland) Brown. On March 18, 1967, in Moline, he married Nikki Martin. He attended Willard Elementary School, John Deere Middle School, and graduated in the Moline High Class of 1958. He received a B.S. in Education and an M.S. in Education Administration during his years at the University of Illinois (1958-1963). He played football on scholarship for four years, and, in 1961, served as Captain of the team. He was drafted by the San Francisco 49er's in 1962. He served in the U.S. Army for two years, at Fort Hood, TX, attaining the rank of Captain, and served in the Illinois National Guard for four years, as C.O. Headquarters Battery Captain. Gary taught science at John Deere Middle School from 1965 until 1967, then was employed at the Bartlett Insurance Agency from 1967 until 1969. During this time, he joined the Moline School Board. He resigned his board position to become Superintendent of Arrowhead Ranch in 1970, where he served until 2004. In 2007, he re-joined the Moline School Board. He was always fully commited to his community, with two terms on the Moline School Board, as one of the Founders and Past President of the Moline Booster Club, 35 years as a member of Moline Rotary Club, two years as a Moline Kiwanis Club member, five years as a Salvation Army bell-ringer, and was a John Deere Golf Classic volunteer for 30 years. Gary was a 43-year member of the First Congregational Church, Moline. He always enjoyed attending the Brownie Boys' Class Reunions, playing Bingo, watching MHS sports, and loved any of his grandkids' events. In addition to his wife, Nikki, he is survived by: daughter: Tasha (Bill) Wiemers of Coal Valley, IL; son: Toby Brown of East Moline; sisters: Debra (Russ) Jackson of Chillicothe, IL, and Carol (Ron) VanNatta of Moline; a brother: Ronald (Mina) Brown of East Moline; and three grandchildren: Drew, Dylan, and MacKenzie Wiemers.